APRIL 11, 2018 – COSS.IO, a Singapore-based cryptocurrency trading platform today announced that it has included the MARK (MRK) coin into its list of digital currencies. The listing is symbolically confined to the date April 12th, which is celebrated internationally as the Day of Human Space Flight. Since 1962, April 12 has been celebrated in Russia (formerly the Soviet Union) as Cosmonautics Day and since 2011 internationally as the International Day of Human Space Flight (or Yuri’s Night). The event is held to increase public interest in space exploration and to inspire a new generation of pioneers. Driven by space-inspired artistic expression and culminating in a worldwide network of annual celebrations and educational events, Yuri’s Night creates a global community of young people committed to shaping the future of space exploration while developing responsible leaders and innovators with a global perspective. These global events are a showcase for elements of culture that embrace space including music, dance, fashion, and art. 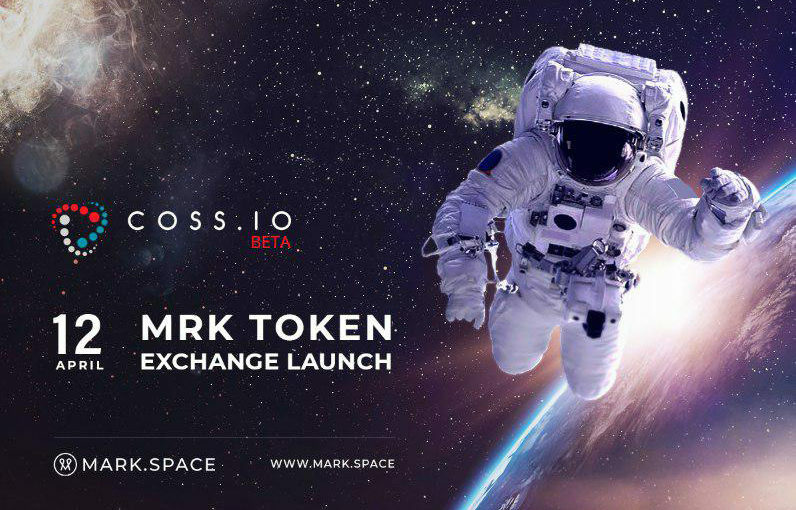 To commemorate and celebrate this great historical event, COSS.IO has chosen April 12 as the day to launch the MRK, which is the internal digital currency of MARK.SPACE, world’s first open-source, platform-agnostic social VR and AR-compatible ecosystem. MARK.SPACE, as the name suggests, symbolizes a framework of different possibilities, that not only allow for creation of so-called “spaces”, but also give the opportunity to virtually go into space and beyond. The latter is the reason for choice of date.